Construction has begun for the new Village Centre Plaza, located at the North West corner of Sage Creek Blvd and Burning Glass Road! This Plaza will include landscaping, seating and a beautiful custom sculpture, selected with the help of Sage Creek residents. A call for submissions was put out for local sculptors and artists to create their vision for the plaza, and after narrowing them down three finalists, residents could fill out an online survey to see which they preferred. After reviewing community feedback, the final design was chosen. The final selection was a piece from local artist Darren Sakwi, of Stainless Concepts. Sakwi says as soon as he read the call for submissions, he knew what he wanted to do. “The natural history of Aurora Borealis, AKA, The Northern Lights, is something that will stop anyone in their tracks,” says Sakwi. “That’s what I want to achieve with this piece. It’s one of those things in life that when you see it, you need to stop and take it in, and take a break from the hustle and bustle of life." Saper is excited about the design and what it will bring to the Village Centre. 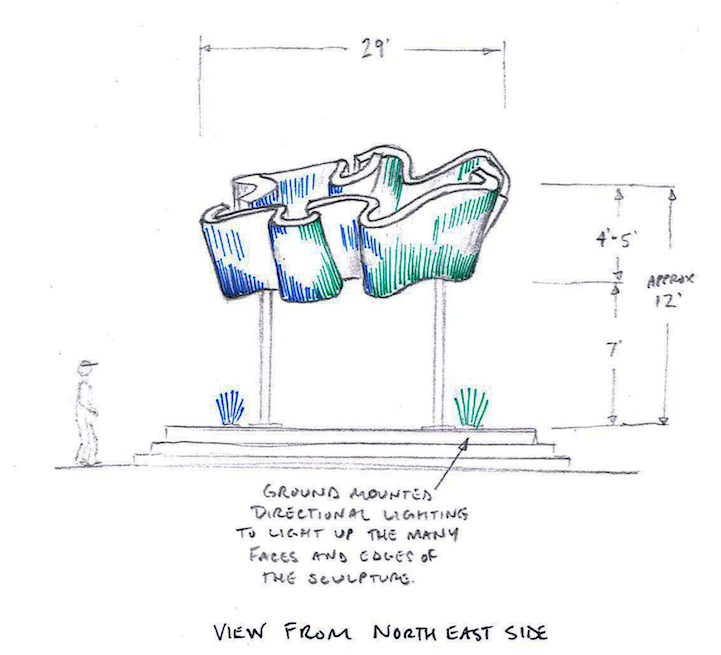 Construction on the plaza continues this month, and the sculpture is expected to be installed in the fall!